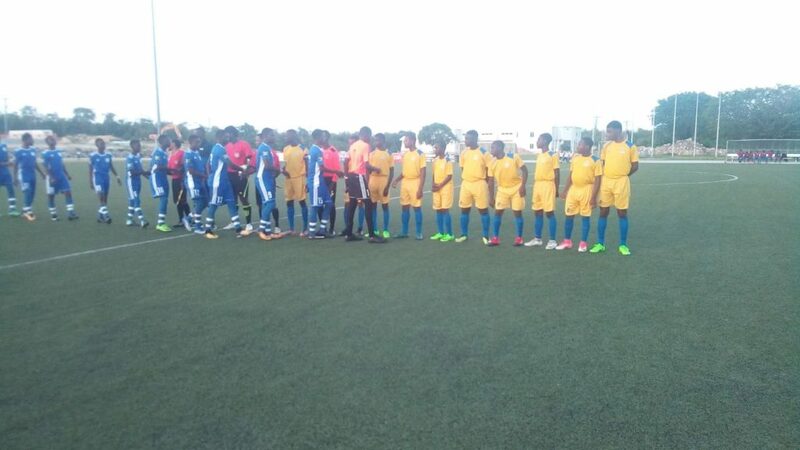 A more focused HVFC took the field, with a clear sense of purpose mixed with confidence, evident in laughter and smiles. Ron-jay Watson searched the flank as his close friend Kareem McLean drove the opposite side. In tandem, they set up marksman Demarco Thorne and hitman Tyrese Williams as both launched bombs on the St. Ann-based unit. Mount Pleasant Academy responded with shots from distance as Pearson banged them high but goal-ward. 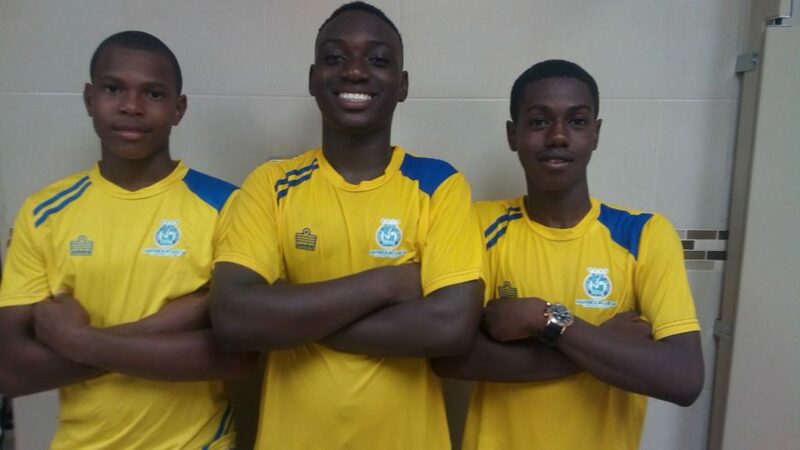 However, it was the two young guns from the champion U13 KSAFA team, Kevaughn “Socca” Wilson and Tarick Ximines, who would unlock the defensive unit in the 16th minute from a corner kick. Wilson’s first effort was blocked as he recovered and crossed to the far post. Ximines curled and steered the ball away inside the goal to notch his first international goal. The two “Barcelona Boys” embraced in joy, 1-0. It remained a fairly even game to halftime as Thorne’s right-footer smashed against the base of the upright. Watson had his way down the left flank. Wilson’s dead ball kicks found the header from Williams twice to be blocked, then his shot from the top of the box grazed the crossbar before Thorne again tricked a defender into grabbing him as he swivelled away to goal. Penalty converted by Watson in minute 52 to make it 2-0. Three minutes later, Mount Pleasant won a free kick on top of the box as goalkeeper Valentine’s error to overstep saw Christopher Pearson accurately convert for a consolation goal, 2-1. Game management for the last 15 minutes had us keep the lead in place, only for Wilson’s drive to bounce off the crossbar. 3 points secured to now total 4 points. We are currently second in our zone, tied with zone leaders and defending champions Cuba. They lead with a +2 goal difference to our +1. Mount Pleasant Academy is third on 1 point, ahead of 4th-placed San Antonio Academy also on 1 point. We need to get at least 1 point tomorrow against Cuba to secure qualification to the semifinal. Picture (L-R): Goalscorers, Tarick Ximines and Ron-jay Watson, and voted Man of the Match, defender Jahdae Wright.